How to get surprised by good films from distant places? The easiest way is asking locals for tips when you are there. This wasn’t possible this time, but a friend of us happened to be in Tallinn for few days. “There is a good DVD department, go there - Paul told him after having written down his want-list. - And then ask the shop assistant what he/she would suggest in addition to that list”. “And you really will pay for that all, not knowing what he'll suggest?" - our friend asked puzzled. “Yes, don’t worry! - Paul said. 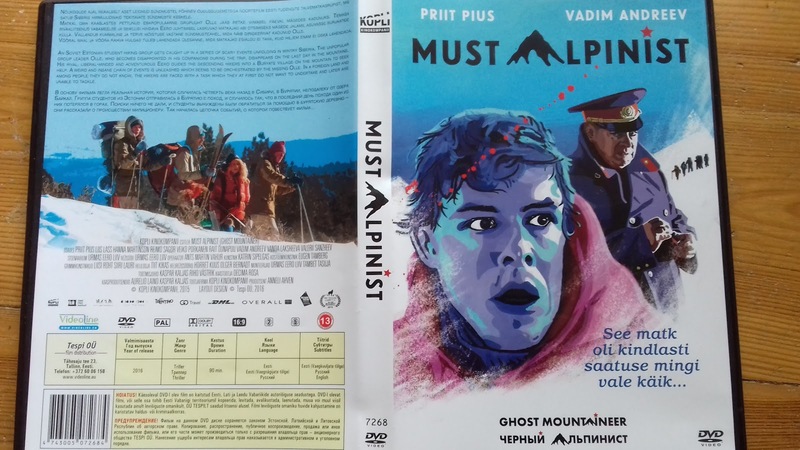 This is how we got Ghost Mountaineer (Must Alpinist - in Estonian). That film was an excellent choice. Thanks to that unknown shop assistant! And to our friend! Film from Estonia about Siberia in the 80. The film starts with some brownish amateur pictures and a women voice from the off. First we were not sure whether it's a documentary or a feature film. It turned out to be a mix, with the most part being a feature staged according to that what really happened in the 80. in the Soviet Union. Six Estonian geology and biology students (four boys and two girls) used their winter holidays for an expedition to the mountains of Buryatia (Siberia). They looked for fun, an adventure and some rare green stone, the nephrite. And they got lost in the wintry mountains. Soon a conflict started about the right path to the mountain pass, the speed of the expedition and one blond girl. Track leader Olle turned more and more autistic, one girl was siding with him, but not the one he had a shy relationship with. Because of his strange behavior he became quite unpopular in the young hiking group. And around were only mountains and snow, lots of snow. What started as a light student’s film with lots of vodka, jokes about Buryat shamanistic religion with its ghosts and funny ski slopes, turned into a drama on the last day. Olle disappeared in an unknown way in the mountains. His main rival in the group, adventurous Eero, began to guide the descending students into a Buryate village to seek help. Thousands kilometers from their homes, in a different cultural environment, in the time of Perestroika, they tried to find their friend. Alive or dead.